Summary regarding the need for travel insurance when you visit the USA. Your own health plan will likely not cover you if you suffer an accident or need routine medical treatment. When traveling to the USA, it’s unlikely that your own medical insurance will cover you should you find yourself in a situation where you need to use it. To alleviate this concern, it’s wise to purchase a type of holiday travel insurance that will cover any unexpected illness. If you are immigrating to the United States, this insurance is even more important. In most situations, immigrants to the United States are not immediately eligible for state or federally funded insurance coverage. Some require you to already have a green card. Others mandate certain income, residency or citizenship requirements before you may be eligible. Depending on your unique situation, you may not be eligible for any program for quite some time. Travel insurance can help bridge the gap until you are eligible for other options. Things you should consider when purchasing travel insurance include the type of coverage and where providers are located. It’s not helpful to purchase a plan that only covers catastrophic accidents or only has providers in major cities if that’s not where you plan to visit. You’ll also need to look at the dates of your coverage and whether or not you have the option to extend it, should that be necessary. Finally, the cost of coverage is important. You need something affordable that will provide the degree of coverage you need for both minor and major medical issues. 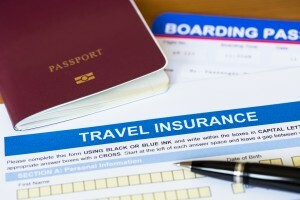 The cost of travel insurance will vary a great degree. Sometimes it will depend on the traveler’s age, the type of plan chosen and the plan coverage limit. The cost of this insurance may also include other accident issues such as if the airline loses your baggage or if you miss a connecting flight. Before signing up for a plan, make sure that you read the fine print and understand what the cost covers and what it does not. Many Americans travel overseas for pleasure or business, but what if disaster strikes and emergency medical treatment is needed? Fortunately, there are emergency and urgent care insurance plans available for these incidents. Americans love to travel. Venturing to a new destination and seeing new sights is an exciting aspect of going on a new journey. Even so, there are accidents and injuries, sometimes fatal, that can occur. Having international travel insurance is one way to assure that your family has adequate protection while outside of the country. With insurance for international travel, there are a variety of clients who can benefit from sound protection and services. For example, those traveling to developing countries for mission trips may be traversing dangerous territories, such as war zones and other unstable locations. With a high incidence of automobile accidents and terrorist attacks, knowing that you and your loved ones have insurance for traveling provides added peace of mind. Moreover, those who make trips for both business and holidays can be covered by an urgent care package, as there are always risks of injuries or other harm. Even a short stay abroad could result in something disastrous, and international destinations may make you feel less certain of your protection. With a comprehensive emergency or urgent care insurance package, you can know that your well-being will not be compromised regardless of the distance between you and your home. What is more, there are high limit caps for this solution, which helps to assure people that even the most endangered trip will not cost too much. 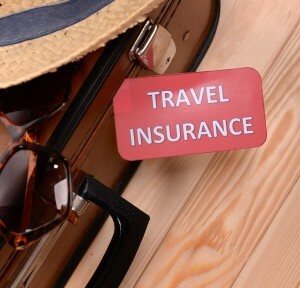 There are several other individuals who can take advantage of overseas travel insurance. For instance, there are some high-risk jobs that are sometimes outsourced to overseas locations, such as fishermen, aircraft pilots, and outdoorsmen. These jobs already hold their own dangers; yet being in a faraway place can cause increased anxiety over protecting oneself. Fortunately, being insured with a plan like this is key to protecting your well-being. Ensuring that both you and your family members receive the required attention is crucial. You do not need to let the possibility of catastrophe leave you dreading your traveling plans or even canceling them altogether. With careful planning and preparation, you can set out to foreign lands with the comfort and advantage of a stable solution for insuring yourself. Keep Safe While Backpacking Through the U.S. It can be intimidating to trek through a foreign country, but taking measures to keep yourself safe and secure can make it a positive and enlightening experience. From the clothing you wear to the valuables you carry, decisions you make will affect your travels. An effective way to experience a foreign culture is to immerse yourself within the society, and the United States boasts many unique cultures and landscapes. No matter if you’re headed to the Appalachians or the Mojave Desert, you should take precautionary measures in order to remain safe. The following tips may help you to be prepared for anything. Travel in populated areas and avoid isolated locations. In the event of an emergency, you are more likely to receive assistance with people around. It may also be a good idea to resist traveling at night. Always be aware of your surroundings. Even though an area may look safe, it could still pose a threat to your safety and security. Many people had bags and suitcases stolen even when these were placed right next to the individual. Know the area you’re traveling through. Contacting your local government or researching the location online can help reveal risky areas to avoid for nearly any location around the world. Accustom yourself to emergency facilities of the area and places to rest. One way to avoid being a victim is to not look like one. Keep your valuables hidden from view and utilize secret compartments within clothing and your backpack. This will reduce the temptation of others because it will look as if you have nothing of value. Use disposable phones while traveling. In the event you lose the device, the impact to you financially and emotionally is reduced. Prepaid units work extremely well since you don’t invest a great deal of money up front. One of the most important aspects to consider before backpacking through the USA is by investing in overseas health insurance. If you become ill or injured, this can help you get back on your feet. Take measures to ensure you have a safe travel and you can reduce the complications that may arise while on an adventure like backpacking.